Happy Hour for Wild and Free is raising money for the Wild and Free Rehabilitiation Program. A program dedicated to the rehabilitation and release of Minnesotas wild life. 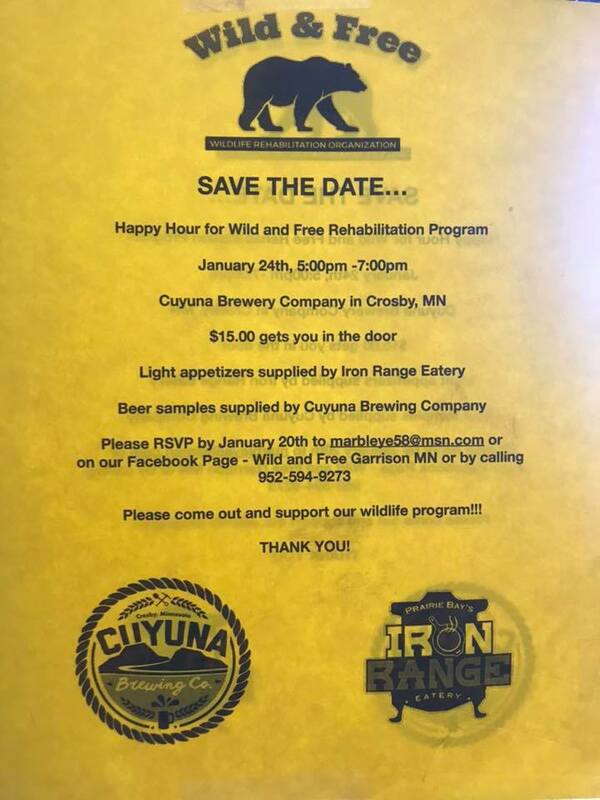 $15.00 at the Door will get you appetizers provided by Iron Range Eatery and Beer samples provided by the Cuyuna Brewing Company in Crosby. Come enjoy an evening with your friends at an event that helps us get the wild life of Minnesota back to their friends. RSVP to marbleye58@msn.com or on the Wild and Free facebook page by January 20th!